Summer is fast approaching and so is the end of the School Year 204-2015. Our son's class will be having a Class Picnic on June 17, and this would be the first time that we are going to attend the said school activity. So, thrilled with what to bring and share with the other family that will be at the Picnic and of course to see our son's friends and classmate and would be able to meet some of the parents too. I felt even excited when I receive a confirmation email from #fairtrade about reviewing on about their amazing product in line and that would be the Riviera Beach Bound. The bag I received is just perfect to use for the picnic as it is designed for it. 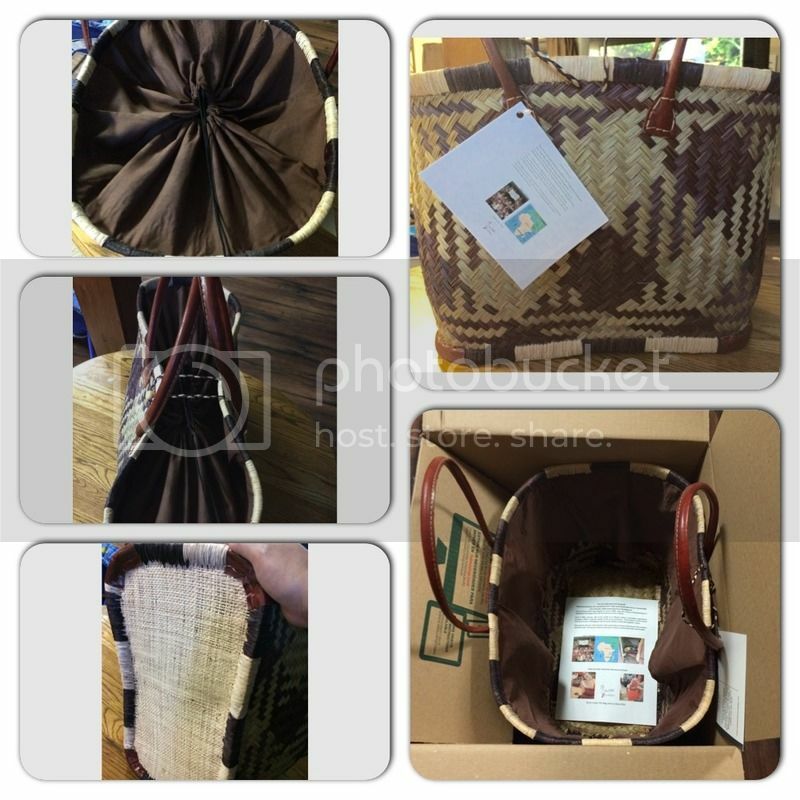 The bags are created in Madagascar by a Fair Trade collective of 5 workshops in the region of Manjakatompo. The Raffia is purchased by the collective and dyed and then shaped and woven. The bags are perfect as well for storage of knitting, beach towels and even your favorite small doggy! The Raffia and sisal are sustainable plant fibers and the leather is from animal by product. Interested? You can purchase the product HERE, or visit them to see more of the designs and bag you might want to acquire. The product came in the mail through the USPS, because I obtain the large bag, the packaging box is just the right size for it. I don't see any signs of damage that I was able to check the bag right away. Very lightweight and even my SIL who saw the bag was very impressed on how beautiful it is. Perfect for picnics she mentioned which we are going to do soon. I love inside pocket, the fabric that is adjustable to close the bag, the strap is just handy to close it. I admire the dyed color the high quality material they used for the bag, very sturdy too. I love the handle, very nice you can also close the bag through the strap. Big enough for the stuff you need to bring to the beach, or picnic. The bottom is also strong to carry our stuff. I have to say, this is a great bag to acquire. Fashionable, handy and of course well-built because of a high-class material they used. That is an awesome bag. I love that it has a lot of room. Very nice bag. Parang made in the Philippines din.